As your business goes global, you rely on employees, affiliates, partners and a number of key people from all over the world who need to learn more about your brand and industry. Our eLearning language services transform your Lectora and Storyline courses into multilingual tools for everyone who needs access to your material. We use this protocol to translate and localize any digital or printed documentation, plus any associated material, using the industry standard software of your choice. All you need to do is give us the complete source version and we reconstruct it in a ready-to-run Lectora or Storyline format, in the language of your choice. Take a look at our voiceover/narration or subtitle services to see how we can translate your video eLearning material into any language. 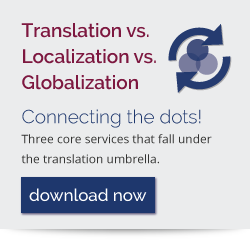 Interested in eLearning Localization? Check out our eLearning Client Questionnaire to see if it is a fit for you. Or to see what else we can do for education and learning, take a look at our education page.